Recently I had written a post advising home buyers that now is the time to buy if they are serious and that waiting could be a mistake. In an effort to drive that point home I have just accumulated some additional stats from CoreLogic that will help to educate home buyers that are currently in the market (or at least thinking about it). First of all home prices are not beginning to increase just now, this has been happening slowly over the last 27 months. Although the increases in cost have been very moderate in most areas this type of slow but steady increase can add up to thousands of additional dollars for home buyers. That’s why I keep insisting that now is the time because even more substantial increases are expected in the future and those considering buying a home may be doing themselves a disservice if they wait for prices to rise even more. As of April this year not one single state has reported a decline in overall house values. In fact, Colorado, Louisiana, Nebraska, North Dakota, Oklahoma, South Dakota, Texas and Wyoming report actually having exceeded peak home prices in the past. Furthermore, 23 states (including the District of Columbia) are within 10% or closer to their peak home appreciation values. 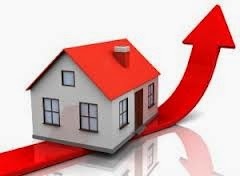 These are very strong indicators that home prices are on an upward trend that will promise to continue. Although no one can claim to actually predict the housing market, all current indicators are that housing costs are on the rise and most experts agree that this will continue for some time. If they are correct and you wait to buy it’s going to cost you. Why not invest in a home today and enjoy the benefits of increased home values instead of waiting to buy after prices have increased? This will equate to less home for the money for most buyers and in some cases it may be the difference between buying and not being able to afford a home in the area that they prefer.